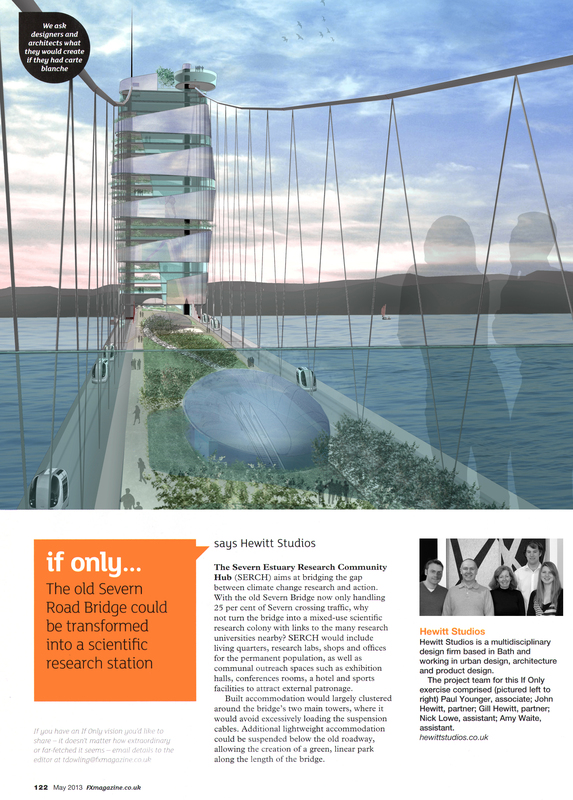 If only… the old Severn Road Bridge could be transformed into a scientific research station . Corrosion of its suspension cables means that the load-carrying ability of the old Severn Bridge has diminished over the years. With the construction of the second Severn crossing, the bridge now only handles 25% of Severn crossing traffic and its future looks increasingly uncertain. 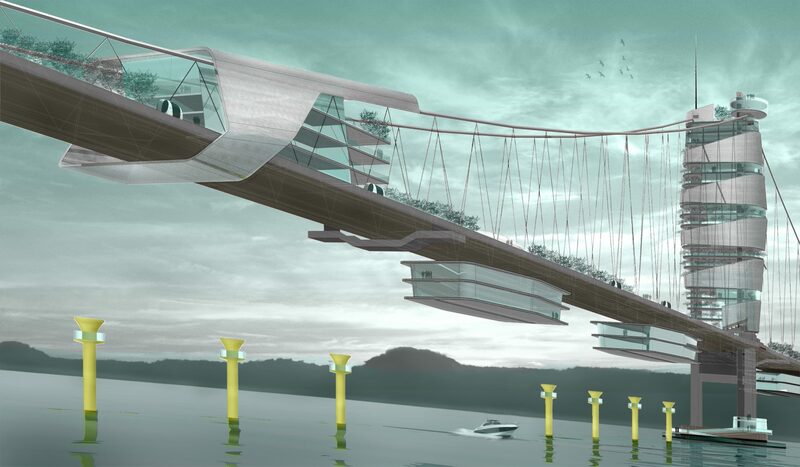 At a time of increasing global debate on changing weather patterns, our design proposes a new life for this road bridge, as the base for an autonomous scientific community; an international centre for climate change research and action – a new ‘Big-Science’ hub. The hub would facilitate collaborative R&D projects with a core of expertise and cutting-edge infrastructure allowing companies access to specific high-tech services. Crucially, there could implementation, as well as research; with the potential for on-site demonstration projects including experimental installations of solar pv, wind turbine and tidal power generators. 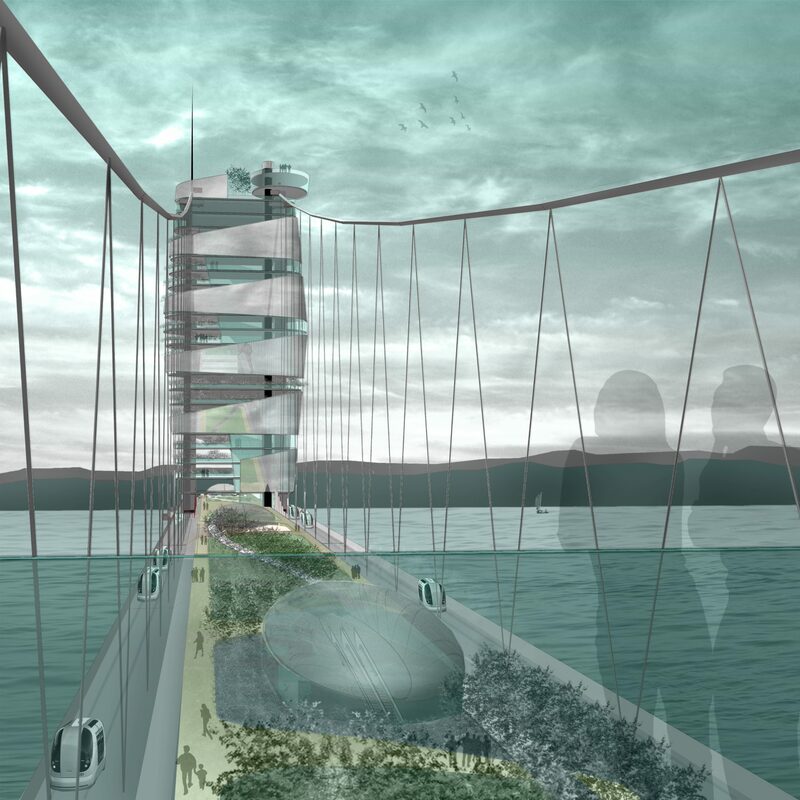 Built accommodation would be largely clustered around the bridge’s two main towers (to avoid excessively loading the suspension cables), with a linear green park created along the length of the bridge. Utilised in-conjunction with high-level ‘sky-gardens’, these green areas could facilitate rainwater harvesting, water-treatment and the growing of foodstuffs. Finally, a sustainable transport network of PRT ‘podcars’, river boats, cycle and pedestrian facilities would link the community to the mainland. 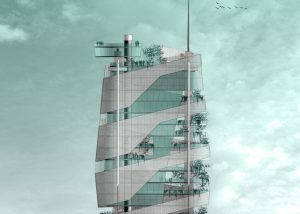 This project was prepared by invitation for FX magazine and was commended in the RIBA Green Manifesto competition. The concept was the catalyst to the Berkeley Green Renewables Centre.